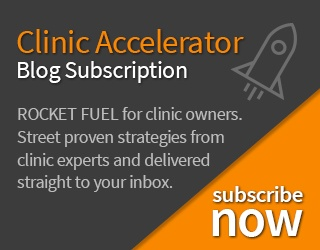 I got an email from one of our blog subscribers recently and I thought it was such a great and relevant marketing challenge facing most clinic owners, that I wanted to share it with everybody here on the CSC Blog so you could also benefit from the answer. I am struggling with not being able to get past the front desk to speak to the doctors directly. If I leave my referral pads or my brochures at the front I don't even know if the doctors see them. How do I get in front of doctors to tell them about the TMJ rehab or pelvic health rehab we provide?" As a clinic owner, it can be hard to get doctors to send referrals. And it’s true, what's even harder is to get past the front desk gatekeeper in the first place. But there are ways. 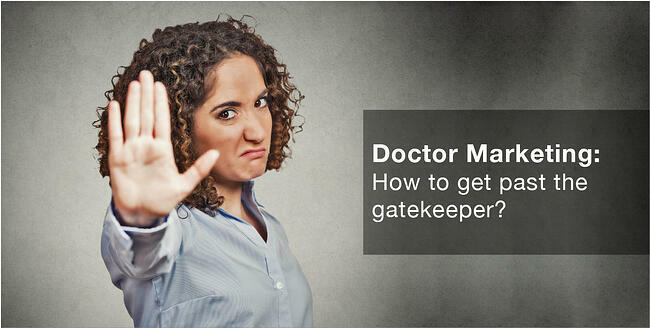 Why so many clinic owners have such difficulties getting past the gatekeeper at a doctors office. How to look at it from the gatekeeper’s perspective. What I learned from owning clinics and managing over 200 staff. 4 practical solutions to make sure you DO get past the front desk gatekeeper. You sound like every single sales person that is trying to sell something to a doctor. The doctor never responds and here’s why. 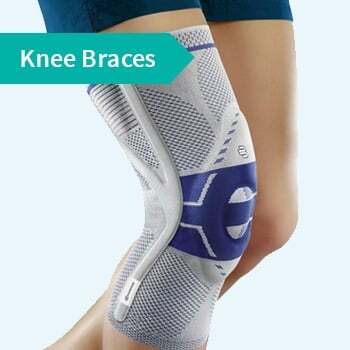 The gatekeepers are paid to keep you away from their doctors because every physiotherapy clinic, pharma rep, or medical device company is trying to sell something to the doctor - and there are a lot of them! Let me ask you something: Do you like it when people call you and try to sell you something? No. Nor do I. We just think it’s spam or an annoying ‘sales call,’ right? It's the same thing for the gatekeepers or doctors.They are tired of people trying to sell them stuff. If you walk into the doctor’s office and look like a salesperson or act like a salesperson, you’re simply not going to get a good result. Their high beam radar is on, ready to say no or use the insect repellent, so to speak. Here’s a tip: Don't get in front of the gatekeeper and act like every sales person that comes into the office. BE DIFFERENT. What's in it for the gatekeeper? Is she going to look good by letting you in or will she be violating the doctor’s rule: "Don't let sales people in here?" If they are going to let you in, they are taking a risk on you because the doctors don't want to see any more people in a day. You need to be different. And you need to give them a reason to let you in. Previously I owned multiple clinics and managed over 200 staff. Trust me, I tried almost every single tactic when it comes to doctor marketing. 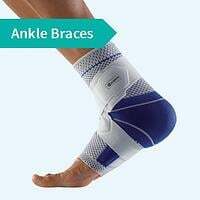 I hired attractive physiotherapist’s to do marketing. I had managers do the doctor marketing. I even hired reps similar to pharma reps (good looking and professional) to do it. 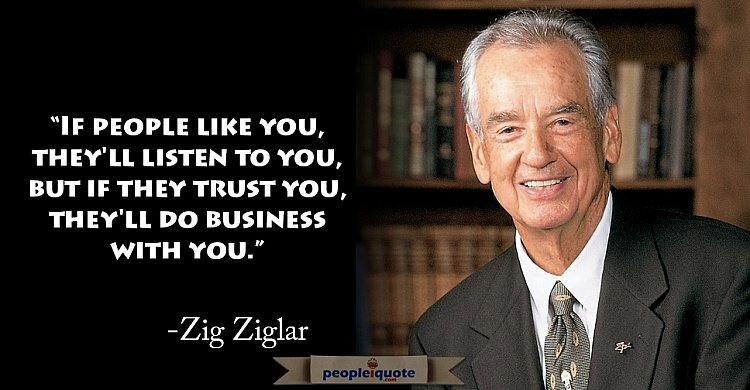 It’s an age old business principle actually, first recorded by Zig Ziglar, well-known author, salesman, and motivational speaker. The point is, you are selling something so that does make you a salesperson. But don't rush the sale or ask for the obvious. Get people to like you first and then the business will naturally come. If you want the gatekeeper at a doctor’s office to let you talk to a doctor, get the gatekeeper to like you, then they will trust you enough to let you in. I’d highly recommend you read: How to win friends and influence people by Dale Carnegie. The key is to get personal. Take the time to find out the gatekeeper’s name and more importantly, use it! Be courteous - allow patients to come first when you get to that front desk. Be a warm welcome - they deal with people who are sick all day. Connect with them and find a way to have a conversation - this is particularly important. You can often pick up clues on their desk (photos of loved one, hobbies, their coffee mug) and ask them about it. Use humor - if you can find a way to make them smile, they will like you for it. Their life is already stressful enough so a breath of humor can lighten up their day. The key in getting the gatekeeper to like you is to be authentic. Really try to connect with them and build a friendship. It takes more than one visit to get the gatekeeper to like you or to consider having you talk to the doctor. You should look at this like dating: You’re building a relationship. With each date (visit) you are going to nurture and woo the gatekeeper to like you. To see you as a friend, so much so that they are willing to squeeze you in to see the doctor even though the doctor has given their clear instructions not to talk to any sales person. Statically it takes a person 8 times to say no before they finally say yes. Don't give up. Your goal is to initially visit the doctor’s offices every week. Once rapport is built, visit your regular doctor offices at least once a month. After establishing a good relationship you also want to maintain it so you continue to get doctor referrals. Picture yourself as the gatekeeper. You’re working with doctors and patients who are usually very unhappy. 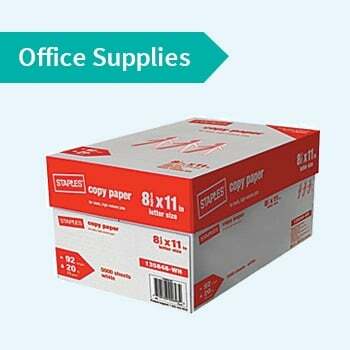 Your paperwork is stacked with a million and one things to do, so the last thing want is to be SOLD to. And you certainly don’t want to get yelled at by the doctor for letting another physiotherapist or clinic trying to sell stuff through the door. The gatekeeper also likely feels under appreciated by the doctor for all the hard work they do. Imagine what it might feel like to get a small gift. It would definitely be something different and would make you stand out of the crowd. However, don't do it on the first visit or it will seem like bribery. The gatekeeper needs to know who you are and like you first before you do this. Your goal is to get them to like you more than the other physiotherapist they currently refer to. Or the other massage therapists and so forth. Who doesn’t like one of those? 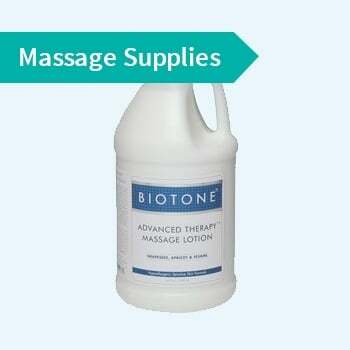 Offer a free 30 minute massage therapy session at your clinic. Tell the gatekeeper what a wonderful job they are doing and how you totally understand how hectic the front desk can get. 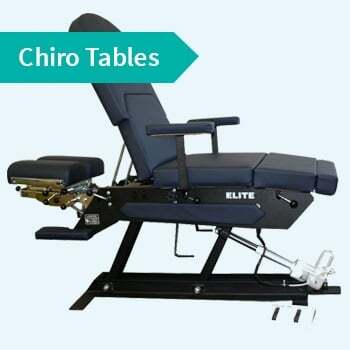 And point out that they are sitting all day and it's tough on the back, which is why you thought a massage would be of benefit. Ask them what their favorite pizza is and next time you visit take one with you. Tell them you are treating one of their patients and they couldn't say enough about how awesome you and your clinic are, which is why you're just paying it forward. Send them a thank you card after they let you see the doctor. This will prepare you for next time and keep the doors open. A handwritten card works best. I enjoyed talking with you at the clinic. I hope the company realizes how important the first impression is when someone greets you. You do a wonderful job. Thank you in advance for all your help. Finally, once you nurture a relationship with the gatekeeper, ask for their help to go see the doctor. It also helps if you ask for more information. When is the best time to see him? 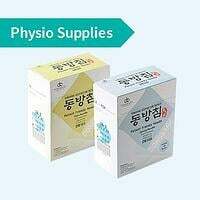 Who do you guys currently use for physiotherapy? What do you like and don't like about your current physiotherapist provider? What does the doctor like to do outside of work? Now that you have a relationship with the front desk gatekeeper, it’s time to start to get to know the doctor and begin a relationship with them also. This process does take time but is well worth the effort. Business transactions are built on relationships and trust. When you take this long-term approach, you will have no problem getting past the gatekeeper and maintaining that relationship in the long term. Top 7 Reasons Why Clinicians Struggle to Sell Product and How to Fix it.